7 Years Bad Luck is Tom (vocals, drums), Andy (vocals, bass), and Giorgio (guitar, vocals). The Salzburg (Austria) based band has been around since 2001, played a couple hundred shows around Europe and the UK, released 4 full-length LPs, 2 EPs and 2 7-Inches and had the pleasure of sharing stages with bands like NOFX, Alkaline Trio, The Lawrence Arms, Flatliners, Shelter, Dead To Me, Off With Their Heads, Blake Schwarzenbach, Masked Intruder and many more. The latest record "Great, Big, Nothing" is a fistful of 90s infused melodic punk rock tunes from a band that has matured lyrically as well as in terms of songwriting, while staying true to itself. 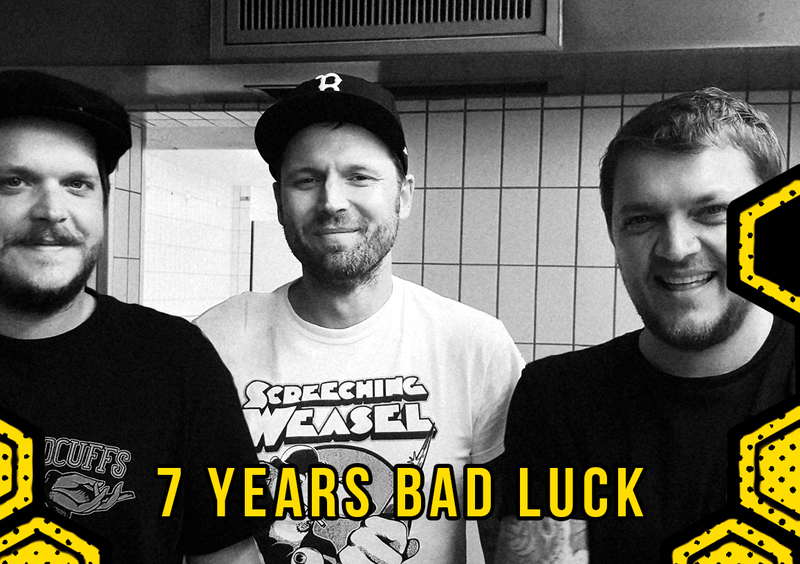 7 Years Bad Luck have been honing their sound that revolves around two lead singers taking turns and big melodies, at the same time cutting the slack and staying true to a bare-bones approach to what a punk rock three-piece can sound like.